President, IMG Financial Group, Inc.
After graduating from Columbia College with a Bachelor of Arts degree in 1993, Jeff began his career at IMG Financial Group as a Financial Advisor. He learned from one of the finest, his father, Allen Applebaum who founded IMG in 1981 and has been in the business for over 50 years. Jeff’s dedication to the firm contributed to its expansion to their office at 4550 Post Oak Place Dr., Houston, TX. Through hard work and commitment, Jeff became President of IMG Financial Group in January 2008. His 20 plus year career in the Financial Services industry working with business owners, physicians, and other professionals has allowed him to help them achieve their insurance and financial objectives. By remaining dedicated to ensuring that his clients are updated on the continual changes in the economic market, he continues to attend numerous educational seminars throughout the year, and offers round table discussion so his clients will be well informed of the market changes. During his career, Jeff has qualified for the Million Dollar Round Table*, Court of the Table, and the prestigious Top of the Table. He is a member of the nationwide Premier Resource Group, GAMA (General Agents and Management Association)**, NAIFA (National Association of Insurance and Financial Advisors), and the Galleria Chamber of Commerce. 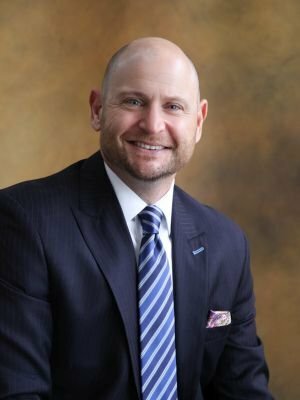 Jeff served on the Board of Directors at the Braeburn Country Club, recently was on the National Advisory Board of a major broker dealer and is a speaker on the value of life insurance. He is also on the Houston board of the Folds of Honor Foundation. Jeff enjoys time with his family: wife, Julie, and their three children and an occasional round of golf. Jeff is a registered representative and investment advisor representative of Securian Financial Services, Inc., Member FINRA/SIPC. IMG Financial Group, Inc. is independently owned and operated. **GAMA International and NAIFA are membership organizations for which individuals must submit applications and payment. These organizations are geared toward those in a recruiting, training, or supervision role in the financial services industry. Awards are based primarily on -commissions, premiums, or fees generated from investment and insurance products and other criteria relative to leadership, achievement, and recruiting selected by the applicant. Individuals must be current with membership dues and submit an application fee for consideration. Working with this individual is not a guarantee of future financial results. Investors should conduct their own evaluation.